On July 17, 1944, a flight of three B-24 Liberator heavy bombers left Westover Field in Chicopee, Massachusetts, for a combat formation training flight. 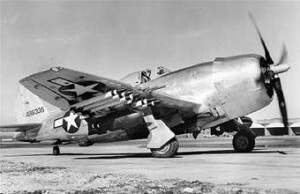 With the bombers was a P-47 Thunderbolt that was to participate in the exercise by making mock attack runs on the bombers as they flew in a three-ship triangle formation. As the formation was passing over central Massachusetts, the P-47 crashed into the lead B-24. The P-47 immediately broke apart and caught fire, but the pilot, a major, was able to bail out safely. At the same time, pieces of both aircraft struck a second B-24 in the formation causing serious damage to that aircraft. Immediately after the impact between the P-47 and the first B-24, two crewmen of the B-24 bailed out of the aircraft. Meanwhile, the nose turret gunner of the second B-24 was pinned in place due to the impact of debris from the first two aircraft and was forced to remain there. Debris from the stricken aircraft rained down on the town of Ludlow, Massachusetts. The P-47 crashed and burned on a farm on Rood Street, narrowly missing the barn. Wing portions of one of the B-24s landed in the back yard of a home on Center Street, and a propeller landed in the yard of a home on Munsing Street. Pieces of an engine and other small parts fell elsewhere. There were no reported injuries to anyone on the ground. The major landed safely and made his way back to the air field on his own. One crewman from the B-24 came down in a tree and was rescued by some telephone workers. The other was found up by a state police officer. Neither was seriously injured. 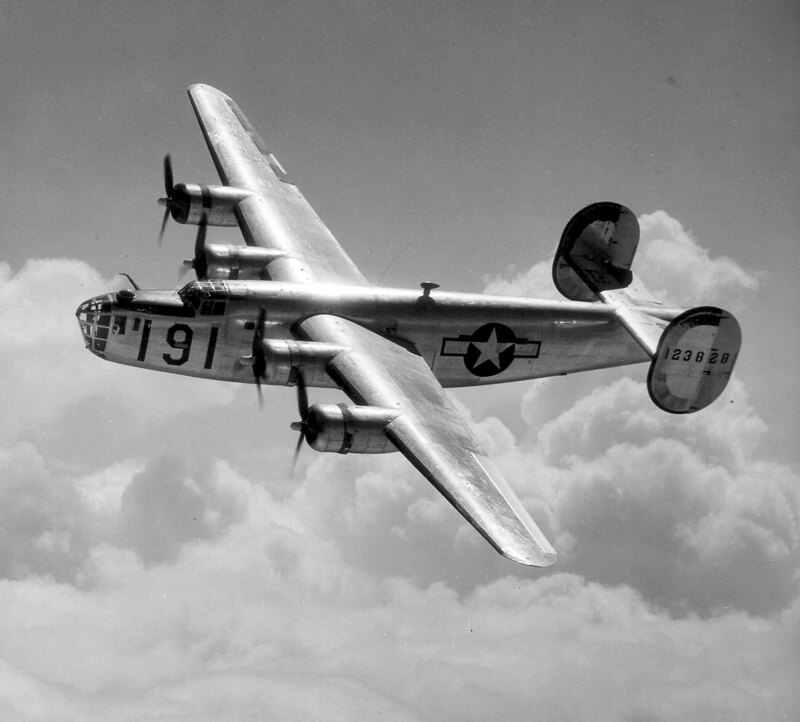 The damaged B-24s managed to limp back to Westover on three engines and land safely. The trapped turret gunner was freed by the pilot and flight engineer immediately afterwards. The third B-24 was undamaged in the accident, and was put in a holding pattern until the other two Liberators could land.